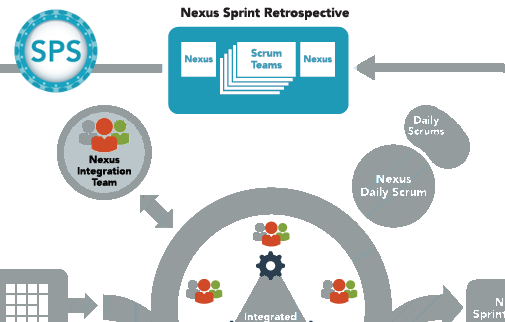 The Nexus Sprint Retrospective is the scaled version of the Sprint Retrospective event from the Scrum framework. The Nexus Sprint Retrospective is a formal opportunity for a Nexus to focus on inspection and adaptation in an effort to improve how things are done. Appropriate representatives from each Scrum Team to meet and identify and make transparent issues that have impacted more than a single team. Individual Scrum Team hold their own Sprint Retrospective as in the Scrum framework. They can use issues raised from the first part of the Nexus Retrospective as input to their team discussions and should formulate actions to address them. Appropriate representatives from the individual Scrum Teams meet again and agree on how to visualise and track the identified actions that have impacted more than a single team. Each Retrospective should consider undone work, technical debt, frequent (ideally continuous/daily) integration and the effective elimination of dependencies. Where issues are identified, Scrum Teams should seek to understand why, how they issue can be addressed and prevented from occurring again. The first and third parts of the Nexus Sprint Retrospective should be attended by appropriate representatives from each Scrum Team. Inspection and adaption may lead to the attendees being changed over time as required. In part 2 of the Nexus Sprint Retrospective, all members of each Scrum Team should take part as they would using the Scrum framework. A Scrum Master may be needed to facilitate this event. With the number of people and teams involved, the facilitation skills of the Scrum Master will be vital to ensure the event is carried out effectively and can be completed within a reasonable time box without confusion and conflict. The Product Owner will be unable to attend each Scrum Teams Retrospective (part 2). This may be an instance where they will need to have specialist assistance to represent them at the individual Scrum Teams level. The Nexus framework suggests that the duration of Nexus events be guided by the length of the corresponding events in the Scrum framework. So for The Nexus Sprint Retrospective the target for the time box would be 3 hours for a 1 month Sprint. Inspection and adaption may lead to this being adjusted over time as required. Depending on the number of teams in the Nexus and the level of dependencies being handled, the time required may vary significantly between Nexuses. The Nexus Sprint Retrospective should be held at a consistent time and place to ensure attendees have a clear expectation of when and where they need to be in order to take part. Where possible, the Nexus Sprint Retrospective will be held in a large space that allows all Scrum Teams to come together and work in close proximity. This will allow the teams to communicate and share learnings during the event which will make it more effective. The Nexus Sprint Retrospective is the primary opportunity for the Nexus to inspect, adapt and find ways to continuously improve. Its successful use will be vital to find solutions to the additional complexity that will come from operating at scale. The members of the Nexus will look for ways to extend and enhance the Nexus framework to create their own unique way of working at scale. This will be right model for your organisation and will allow you to develop your product efficiently and enjoy the benefits that can come from operating at scale. 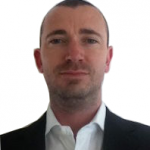 –> Next post: How Does Scaled Professional Scrum Extend The Nexus Framework?